Can I import an image in page flip book and link it to a website? Q:Can I import an image in page flip book and link it to a website? We always talk about how to add a photo slide show in the image. 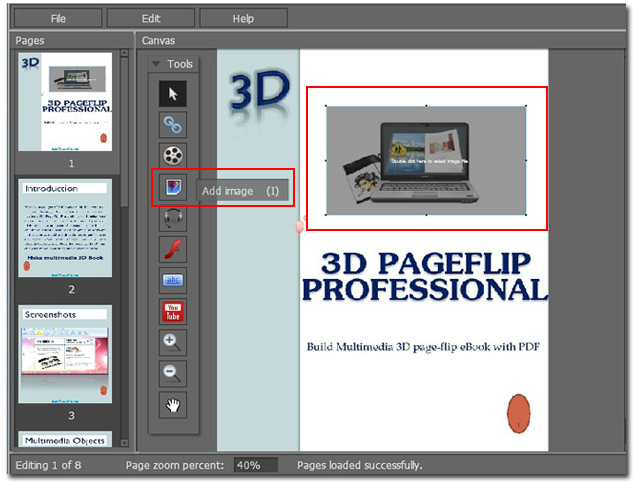 Here will show you another action of adding an image to a 3D page flip book. You can link it to a website. When you click the image you added in the flip page, you can jump to a website which is pre-setted before. Now follow the steps below. Step1: Enter the Page Editing interface after importing a PDF document to 3D PageFlip Professional. Move to the floating editing tool bar and choose "Add Image". Draw a frame as the object and double-click to import an image. Step2: Move to the right of the setting area. 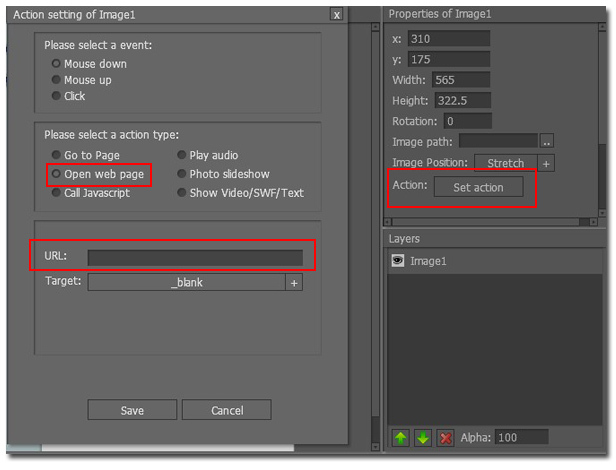 Click "Set Action" and type a URL address in the form. Save your setting.